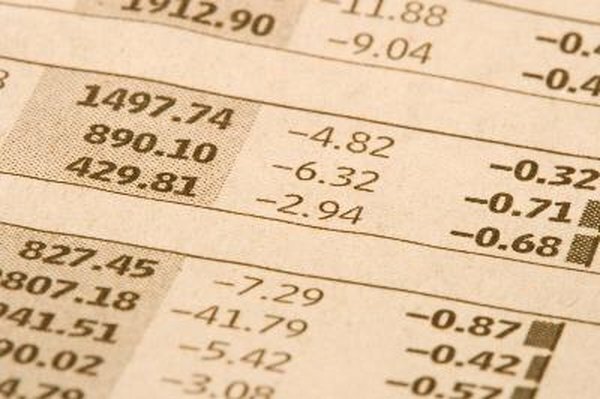 The term of a bond affects its price volatility. Bond funds are mutual funds that hold a variety of debt instruments issued by governments, corporations or investment firms. Bond terms vary in length from a few months to 30 years. Short-term bond funds largely contain bonds with a duration of 24 months or less. Intermediate bonds funds contain bonds with an average duration of between two and 10 years. The fund types work similarly, but each exposes you to differing levels of risk and potential rewards. Bond issuers borrow money from bond purchasers and pay interest on that debt. This interest is usually payable on a monthly, quarterly or annual basis, although some bond issuers pay all of the interest at maturity. Bond funds contain thousands of bonds and loan agreements that are commonly referred to as debt securities. The fund managers normally pass on interest payments to shareholders in the form of monthly or quarterly dividends. The longer a bond's term, the more opportunity the issuer has to default on the debt. Since interest rates are tied to risk levels, rates paid on intermediate bonds are higher than on short-term bonds. If you want to maximize your monthly income, intermediate bonds offer you greater earning potential. When a bond reaches maturity, the fund holding the bond receives a return of premium. However, the fund manager may choose to sell a bond to another fund or private investor before it reaches maturity. When rates on new bonds are rising, a fund manager selling older, low-rate bonds may have to sell at a discount. When rates are falling, a fund manager with older, high-rate bonds can often sell those bonds at a premium. Short-term bonds are less sensitive to price volatility, since a bond is never more than two years away from its maturity date. Prices of nine or 10 year intermediate bonds are much more likely to change based on interest rate movements. Therefore, share prices in intermediate bond funds are more volatile than shares in short-term bond funds. Operating fees on mutual funds including bond funds are partly based on trading activity. Funds pay fees to buy and sell bonds and these fees are passed onto shareholders. Fund managers attempt to make money for the fund and its investors by taking advantage of price movements, selling bonds at premium prices and buying other bonds at discounted rates. In the long term, this causes shares in the fund to rise in value but in the short-term this trading activity leads to increased fees that shareholders have to pay. Since intermediate bonds have more price volatility than short-term bonds, this means intermediate funds tend to cost shareholders more in terms of fees. Investment rating companies assess the quality of bonds in both short-term and intermediate-term bond funds. Like consumer borrowers, bond issuers are rated based on creditworthiness, and agencies use grading systems to alert investors to the quality or lack thereof in every bond fund. Generally, short-term bond funds are less volatile and therefore less risky than intermediate-term funds, but a short-term fund including speculative so-called junk bonds would expose investors to more risk than a fund holding long-term, high-quality government bonds. Investment Company Institute: Understanding the Risks of Bond Mutual Funds -- Are They Right for Me?